This morning Beckie Bailey GSPCA Animal Care Assistant will be collecting 3 guillemots to be released back to the wild. Simon rescued from Ladies Bay and Rocky and Geraldine who were rescued from Grandes Rocques were three of the lucky survivors that were rescued over a month a go covered in oil. Over the last few days we’ve been highlighting the fact we have been helping a number of oiled birds rescued from our coastline. We have just been informed by the Senior Environment Services Officer Agriculture, Countryside and Land Management Services and Harbour Master that a dog walker that has been to Pembroke/L’Ancresse beach has seen heavy oil deposits, some saucer sized around the central reef. The States Beach Crew have been deployed but this does mean the numbers of oiled birds is highly likely to increase. Late last night and early this morning a further two oiled birds have been found oiled on our coastline. 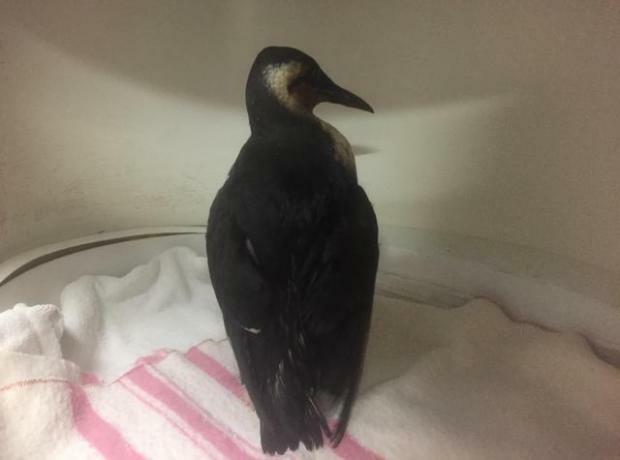 Just before 10pm last night an oiled guillemot was rescued in the Grand Rocque area and was accepted by GSPCA Manager Steve Byrne who administered first aid and placed the bird in one of the Intensive Care Units. The lucky bird has been nicknamed ‘Ger’ and the team are doing all they can help this extremely poorly oiled bird. Earlier today a guillemot was rescued at Saints Bay completely covered in what appeared fresh oil. From head to toe the birds body was completely soaked in the oil and the GSPCA rushed the bird to the vets where sadly they were unable to help the bird. The GSPCA are asking islanders to be on the look out for other birds that may be affected from oil as it is rare for just one bird to found on the coast with such fresh oil. Each winter especially after stormy weather the GSPCA often help oiled birds and the team are hoping this is just an isolated case. This weekend across the Bailiwick the weather is set to put our animals and wildlife at risk. Often during the autumn and winter months with the high winds and stormy weather makes it difficult for wild animals and birds to feed and rest. Also with the high winds we have to ensure our pets and animals kept outside are safe and secure. The GSPCA are asking those that live around and visit our coast to please watch out for injured animals in need as well as seal pups which can get separated from their mothers at this time of year especially when we see bad weather. Over the last week across the Bailiwick the weather has been challenging our wonderful wildlife. 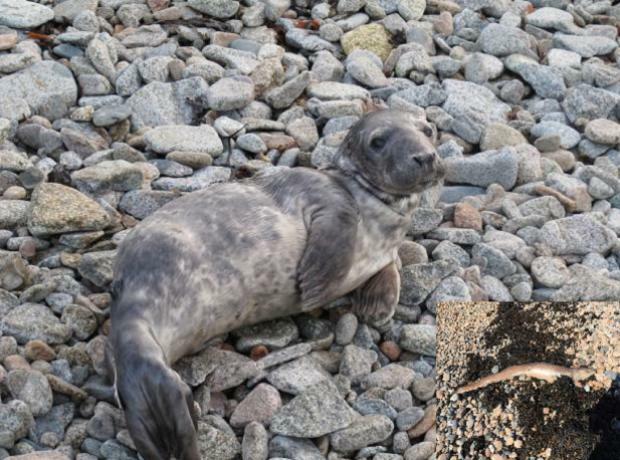 From Poppy the grey seal pup in Alderney to oiled guillemots found due to the wet windy weather the GSPCA is being kept very busy. In the last week we have had two oiled guillemots both on the South West Coast. Meep Meep and Robinson as they have been named are doing well after their bathes but as the bad weather continues the GSPCA are braced for likelihood of other animals affected by the weather needing our help. We are pleased to report that 4 of the rescued oiled guillemots found around Guernsey in January are clean from oil and have been rehabilitating on one of our pools. Lihou, Pegasus, Bob and Rockmount who were all oiled and very poorly when they arrived at the GSPCA have all received a number of washes, treatment, medication, time in an intensive care unit, a lot of fish and have been getting use to being outside over the last few weeks. With all of the rough and stormy sustained weather recently the GSPCA are bracing for a potentially busy period of sick and injured animals and birds. Only in the last few hours have two oiled guillemots been rescued and arrived at the Shelter and there are likely to be many more. The reason we and other coastal animal charities see this increase after stormy weather is that crude oil that has settled on the sea bed gets stirred up and floats to the surface where the birds sadly get coated and then find it difficult to fly, preen, hunt and care for themselves.